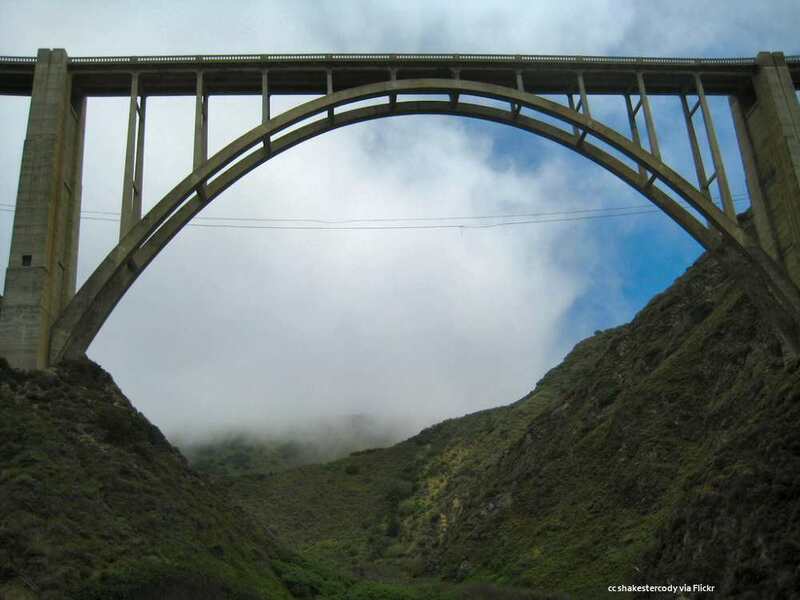 The Bixby Bridge is more than just a functional roadway across a wide and deep Big Sur creek. 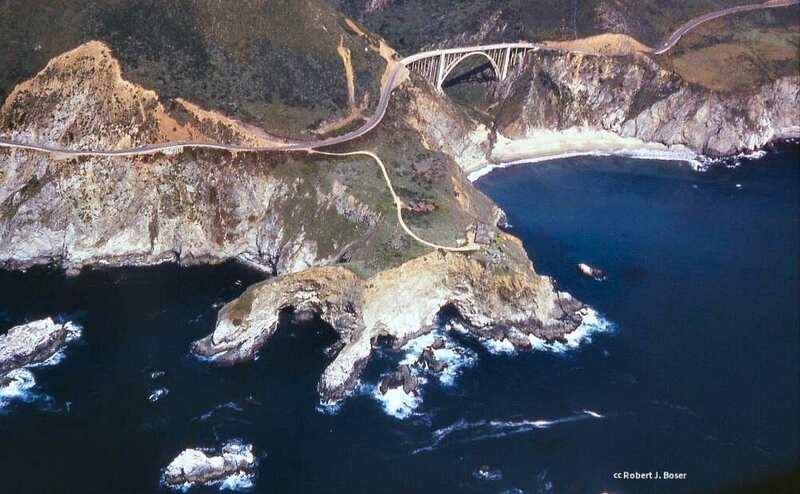 It is one of the most recognizable features of the Big Sur coast and is photographed daily by visitors passing along Highway 1, the Pacific Coast Highway. 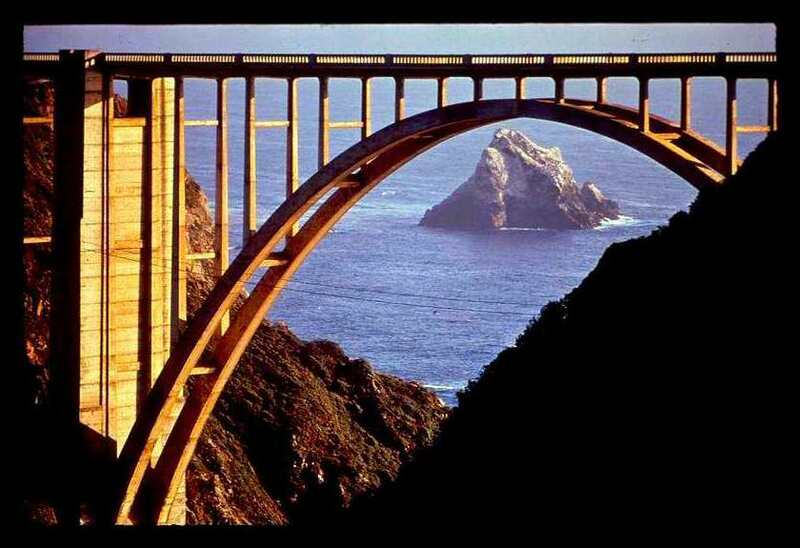 When someone wants to say "Big Sur" in one photo - a picture of this bridge is the one they use. A previous Photo of the Week selection. By clicking on any of the photos on this page you can view a gallery of those pictures in higher resolution. 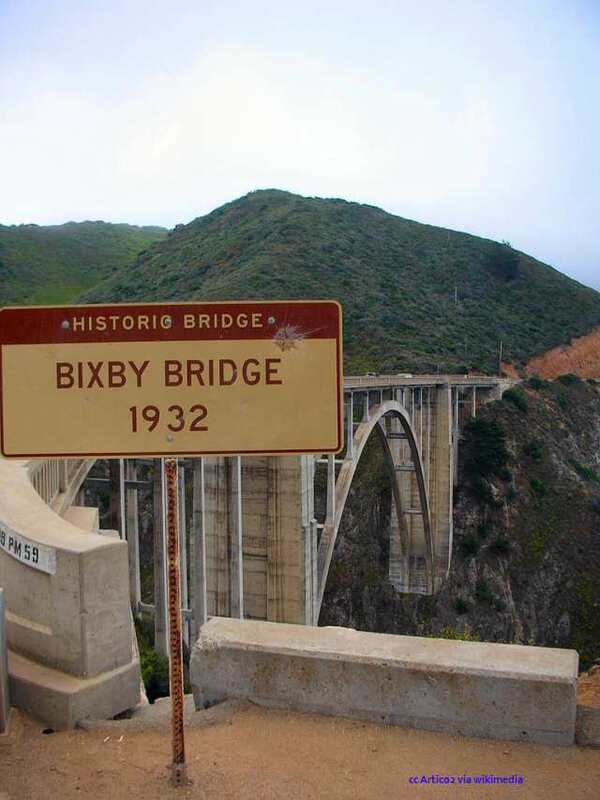 It's a funny thing - there are at least a half dozen similar bridges on the Big Sur coast but the Bixby Bridge gets all the attention and is the poster child for the area. 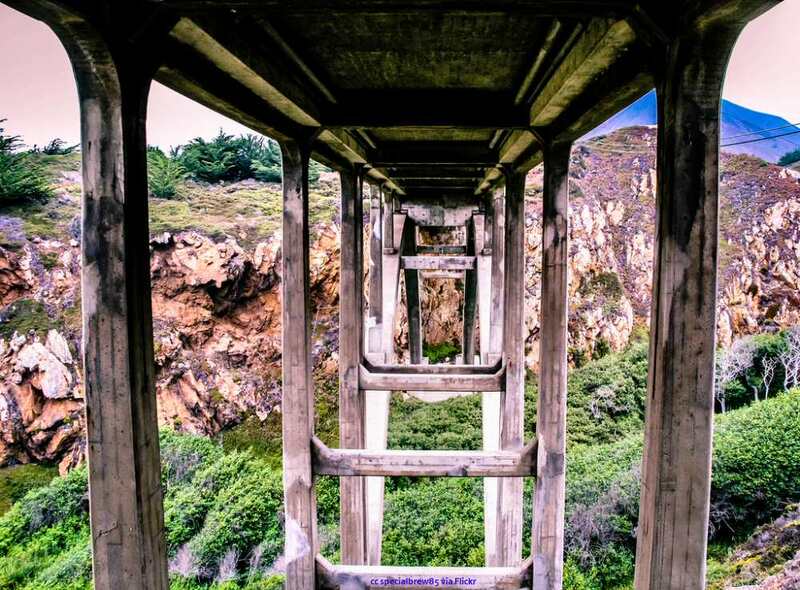 It's the longest of the lot, and probably the highest, but I don't think the technical details are what endears this particular bridge to those who travel through Big Sur. Perhaps it is because the approaches curve toward the bridge and give good angles for photos. Additionally, there is the Old Coast Road which gives nice shots out to sea through the bridge like the photo above. Maybe that's the thing. I'll let you be the judge on this - what I'll do is show you the bridge from all different angles and in different lights and perhaps you'll see why it has enthralled visitors since 1932. Parking: There is a rather large turnout at the northern end of the bridge on the ocean side of the road. Fog is a frequent feature of the Big Sur area, even in the summer. But if you visit during such a time, don't despair of taking photos as the fog tends to erase the background and highlight things in a special way. 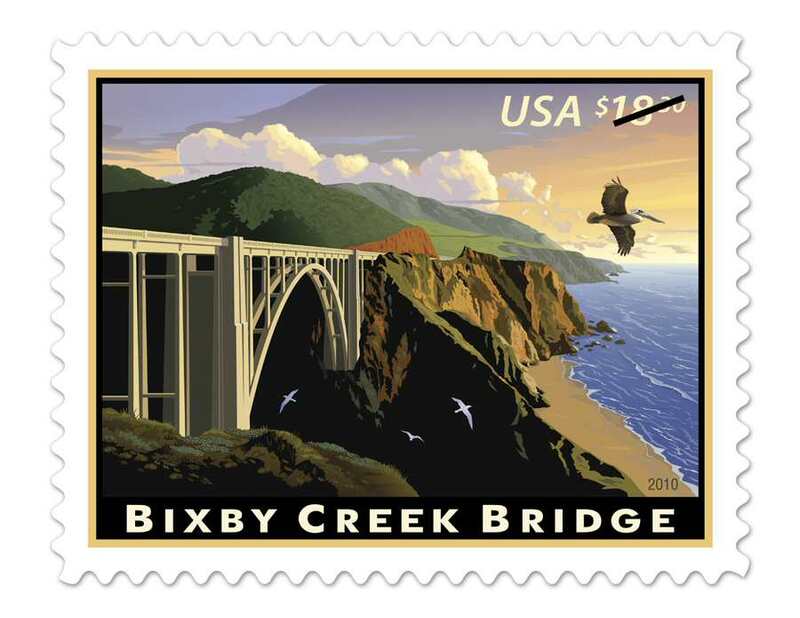 This is certainly a famous view of the bridge and it has been immortalized in the 2010 special delivery stamp shown below. Highway 1 (also known as the Pacific Coast Highway and the Cabrillo Highway) through Big Sur opened up this wondrous section of Central California to travelers. There are still some sections of the coast north of San Francisco that remain essentially unknown as no roads pass through there. 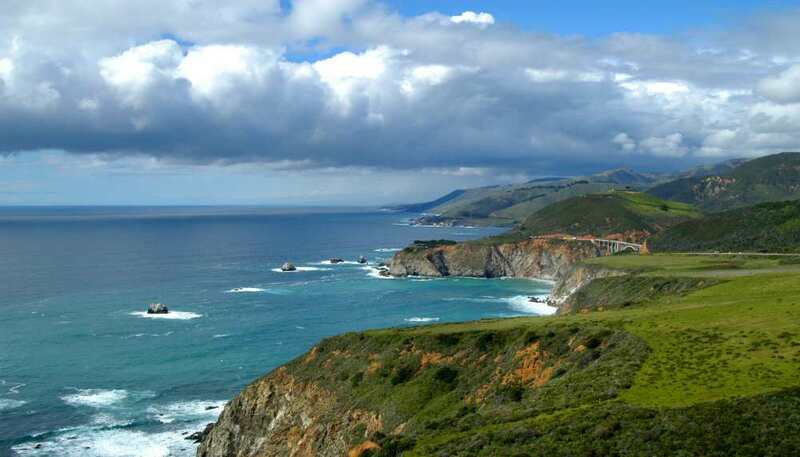 It's great, however, that Big Sur can be seen and appreciated. I wouldn't recommend that you try getting this shot of the bridge for yourself. 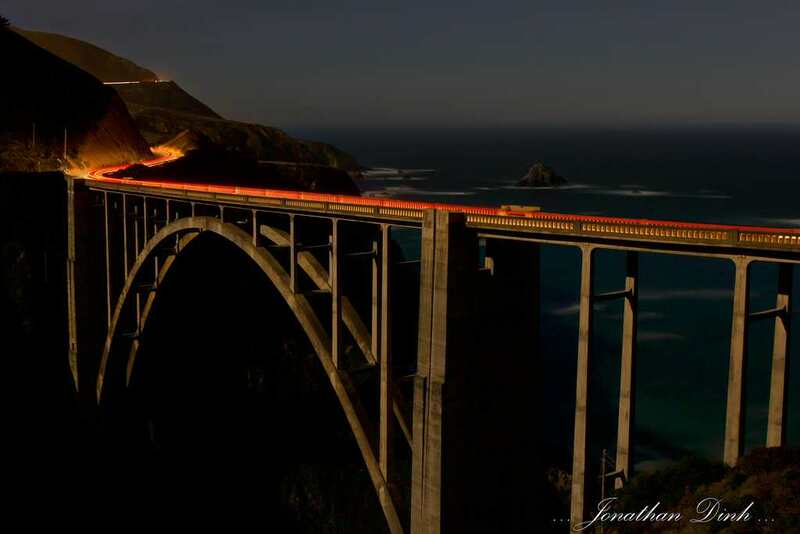 Is the Bixby Creek Bridge worthy of all the attention is gets? Besides travelers stopping for a view, it is the backdrop for songs, TV, movies and commercials. It's a great work of engineering and sits in one of the most spectacular landscapes anywhere. 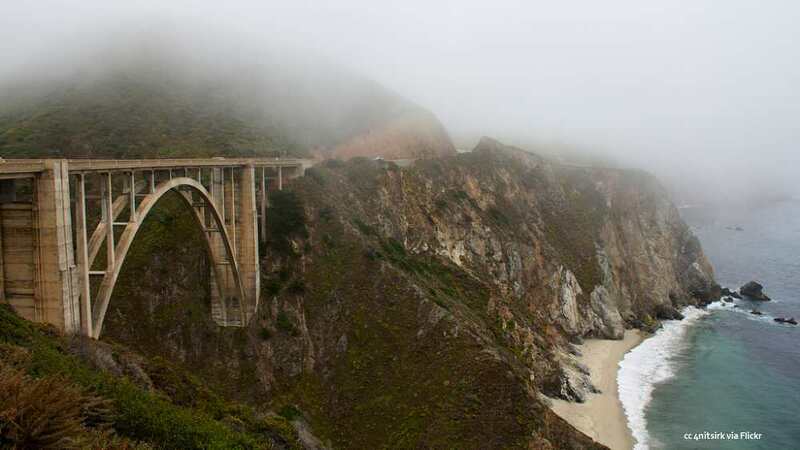 A trip through Big Sur isn't complete without paying at least a passing nod to this bridge.